DR. LINDA ACKERMAN ANDERSON, Co-Founder of Being First, Inc., specializes in facilitating transformational change in Fortune 1000 businesses, governments, the military, and large not-for-profit organizations. Industry experts regard Linda as a founding leader of Organization Transformation and a godparent to the OD community. 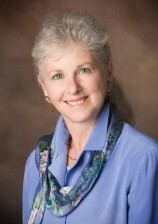 She brings more than 35 years of experience to her work in leading Conscious Transformation. She speaks about leading conscious transformation at international conferences, co-wrote two best-selling books, created the renowned 9-phase change model; The Change Leader’s Roadmap™, and published over 50 articles. Linda’s ongoing coaching with executives, in all stages of transformational change, gives her a unique understanding of the challenges faced when implementing large and small-scale transformations. She assists leaders to sort through the chaos of transformation, develop change processes that produce extraordinary business outcomes, transform organizational mindset and culture, and personally model the changes they seek to create. Dr. Ackerman Anderson also brings decades of expertise in developing conscious change consultants and equipping them with the insights and methods to become experts in their fields. Linda also coaches women leaders on how to lead transformation. She is known as an inspiring model of her message. Dr. Ackerman Anderson received her Bachelors degree in Art History and Education from Boston University, and her Masters degree in Interdisciplinary Arts and Education from Columbia University’s Teachers College. She graduated from University Associates’ Laboratory Education Internship Program (1977-1978) and Columbia’s Advanced Organization Development and Human Resources Management Program (1978-1979). She has since served on the faculty of several university professional development programs. Her two books are featured in Brandman University’s doctoral program in Leading Transformational Change. Linda began her consulting career in the seventies as a management and marketing consultant with Coxe Associates, a firm serving architectural and engineering companies. During that time she also served as Assistant Director of Continuing Education at the American Institute of Architects in Washington, D.C.
She started engaging large-scale organizational change in the late 70′s working at Sun Company, Inc., where she directed a massive transformational change effort at Sun Petroleum Products Company as an organization development consultant and Manager of Human Resources Planning and Development. This experience prompted her to write professionally, and she published her first iteration of the nine-phase Change Leader’s Roadmap in 1981. Also in 1981, Linda formed Linda S. Ackerman, Inc., a provider of change management services and trainings in leading organization transformation. Dr. Ackerman Anderson was a founding leader of the field of Organization Transformation and chaired the Second International Symposium on Organization Transformation in 1984. In 1988, she merged Linda S. Ackerman, Inc. with the Optimal Performance Institute, headed by Dr. Dean Anderson, to form Being First, Inc.
Linda was one of the first to articulate the notion and use of organizational energy as a tool for transformation. She has keynoted at a variety of universities and conferences, including the International Organization Development Network Conference and Linkage’s Change Conference. Her most important priorities in life are her family—husband, Dean, and daughter, Terra—her spiritual and physical health, and her happiness. Her hobbies include mask-making, cooking, snowboarding, camping and participating in women’s circles.